Ductal® is a line of UHPFRC (ultra-high-performance fiber-reinforced concrete) developed and marketed by LafargeHolcim. For over 25 years, the Ductal® teams have been helping to build the most ambitious construction projects. The mechanical properties of these innovative materials and their use as coatings have often been highlighted, but they also present another significant advantage: their durability. Durability is the long-term capacity to withstand the stresses that the structure is likely to encounter over its service life. Product durability also makes it possible to accelerate operating times, limit the use of other materials and employ more effective technical solutions for better results. Every contracting authority is confronted with the task of managing all the entities that work for them. An operating loss leads to an immediate loss of possibilities, connections and, ultimately, money. The promise of greater durability is often viewed as the least compelling evidence for the financial value of a given technical solution. The payoff is far removed, hypothetical and often poorly evaluated. Helping this property, which is fundamental to any design, resume its rightful place is an important undertaking at a time when the costs for maintaining structures are so low. What does Ductal® bring to the table when it comes to protection from the stress factors that are all too familiar to engineers and how do our solutions perform? put Ductal® in the category of very high durability cement materials for the XC, XS, XD and XF exposure classes, as set out in the AFGC guide “Designing Cement for a Given Structural Service Life”. We purposefully avoided linking the values presented here to the known values for ordinary cement that are too often used as benchmarks. Ductal® should instead be compared to its actual competitors, the solutions used in most repair projects: repair mortars, cathodic protection or materials made from carbon. While these properties can be hard for you to quantify for a given project, they have a direct and tangible impact once the product is designed and implemented. As with Eurocode 2, the NF P 18-710 standard on sizing UHPFRC structures indicates the minimum coatings for framework durability. While Eurocode 2 can require up to 55 mm of coatings, Ductal® can bring that value down to 25 mm. These immediate materials savings not only help reduce time at the worksite, but also keep sections from expanding in environments that are often subject to building restrictions. The optimized methods that result from these durability properties result in immediate financial gains that quickly make Ductal® a cost-saving solution. Every solution on the market was developed with a specific need in mind, so multiple products are often necessary. After all, you have to correctly size, install and maintain a cathodic protection system. You have to use primers for specialized mortars. And you have to apply specialized membranes to protect a cement solution. Or do you? Ductal® can be cast on-site and remains workable for over 90 minutes, with no need for primers, frameworks or protective membranes. Once it dries, the protection is in place. And it’s built to last. In 2015, when the time came to repair the Caderousse Dam, which is subject to hydraulic abrasion, Ductal® was chosen over all other repair materials because it was the only one to offer a solution for both abrasion and impacts. French standards have yet to fully recognize this property. In Switzerland, however, Ductal® is considered watertight according to the requirements of the SIA2052 specifications. In that country, our solutions are used to seal and protect structures from de-icing salts. This property also protects structures from inflows of water that can lead to alkali-silica reactions. 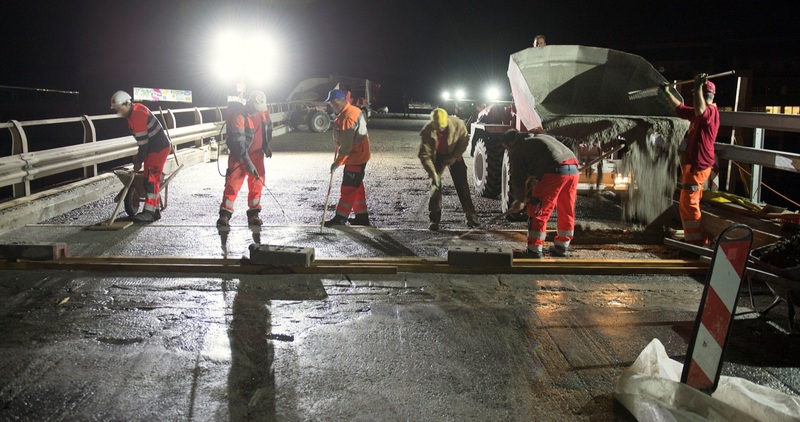 The 2016 work to protect the Cudrex viaducts in Lausanne was carried out quickly and efficiently, with closures limited to nights and weekends in July and August. We believe it is vital that we put the durability of our Ductal® solutions front and center when it comes to developing both new builds and repair projects. Instead of considering these properties individually as an extra for the project, they should be considered jointly, as elements that will deliver immediate benefits for the work as a whole. Ductal® is a complete solution that helps accelerate processes and eliminate the need for future interventions. The durability of Ductal® is more than just an addition to its mechanical properties; it provides true added value for all the stakeholders of a project, from the contracting authority to the general contractor.